Renault Ireland recently donated seven Renault Kadjar crossovers to the Irish Community Rapid Response (ICRR ) vehicle fleet at a handover at UCD School of Medicine. Irish Community Rapid Response is a registered charity which was founded by social entrepreneur John Kearney in 2008 to deliver professional pre-hospital emergency care directly to the site of emergencies throughout Ireland. 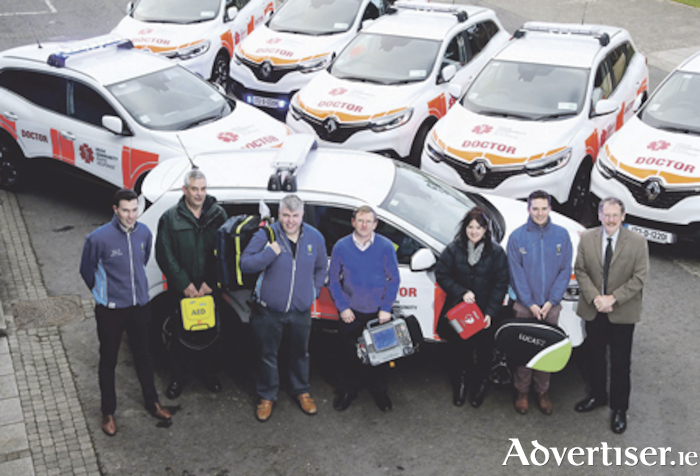 As part of its CSR programme, Renault Ireland is a committed supporter of ICRR and its mission, and this donation will greatly impact ICRR’s volunteer doctors on the road in providing emergency care to those in life-threatening situations. The donation of the vehicles, valued at €250,000, will double the total number of Rapid Response Vehicles operating throughout Ireland. Six of the new vehicles are equipped with 4x4 capabilities and all are complete with built-in satellite navigation systems to meet the needs of ICRR service providers. These new vehicles will operate in Clare, Dublin, Kilkenny/Waterford, Laois/Offaly, Mayo and Roscommon. The vehicles are declared National Ambulance Service (NAS ) assets, and are tasked to life-threatening emergencies via the 999/112 system. ICRR also supports almost 200 other doctors responding to emergencies in their communities at local level. Overall, ICRR volunteer doctors responded to almost 1,000 calls in 2017.